Wanna run your own farm? Willing to see beautiful farms all around the world? "Farm and Travel" is your best choice! 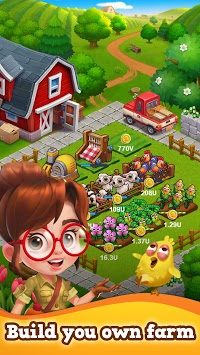 Tap to run your own farm, farm life can be easy and relaxing. Say NO to endless clicking! With brand new idle gameplay, there is no need for hard working! Smart investments are all you need to make a fortune. What's more! You "farm empire" is boundless! 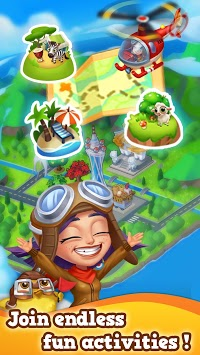 From the vast savanna grassland to the tropical seashore, there are always new farms, animals, and crops waiting for you to explore. Can you build the most profitable farm business ever? Will you enjoy your farm life all around the world? Download and show your talent now! 🌽 GROW your billionaire farm business with classic, addictive idle clicker gameplay! 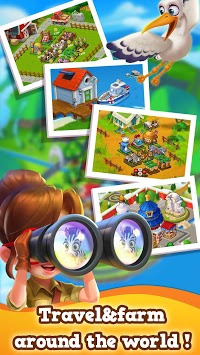 The most fun idle game of 2019, you can't miss it! it's awesome, just like you .